The U.S. Census will be participating on a Panel during the Legislative Summit where they will speak about the 2020 census integrated communications preparations, with a focus on the Hispanic media. Don’t miss the opportunity to learn how your publication can be involved in the U.S. Census 2020. Presenters include Ms. Tasha Boone who has been with the Census Bureau since 1998, and has worked in different positions for three censuses and the American Community Survey—focusing on communication activities. 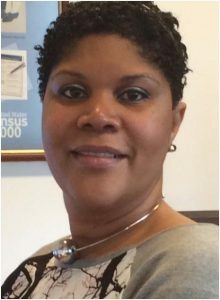 Tasha’s current job is working in the Decennial Directorate as Program Manager for the 2020 Census Integrated Partnership and Communications Program. Tasha Boone received a B.A. in English from the University of North Carolina at Wilmington, a Master Certificate in Project Management from George Washington University, and a Masters of Business-concentration in Marketing from Johns Hopkins University.